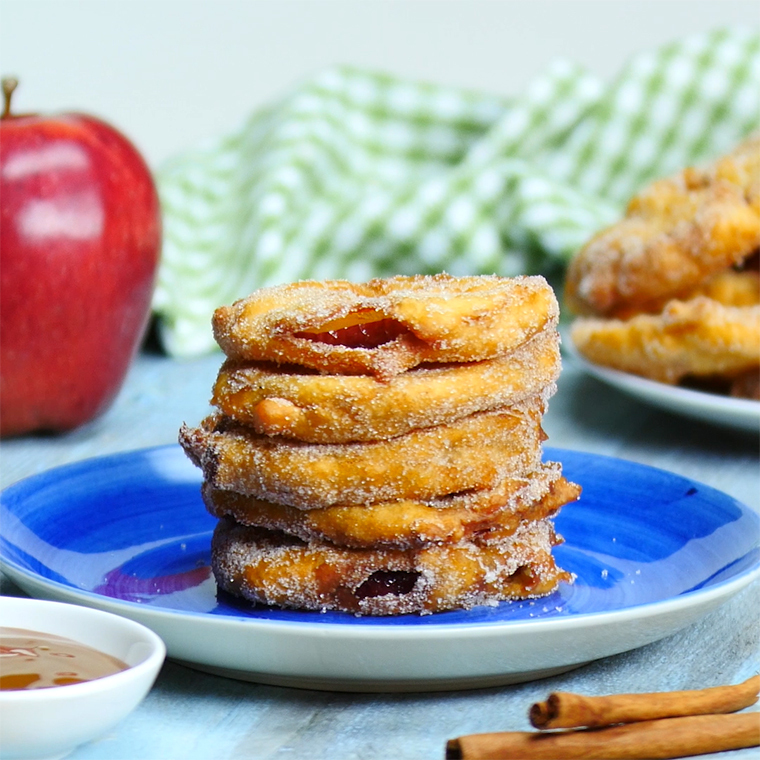 These Cinnamon & Sugar Fried Apple Rings Will Blow Your Mind! 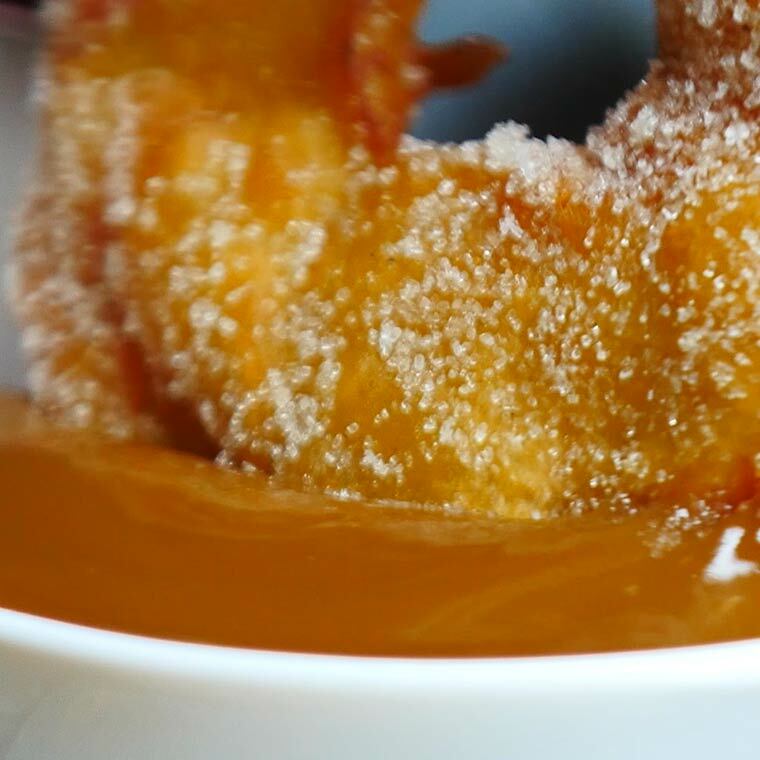 Anything deep fried will win the key to my heart. 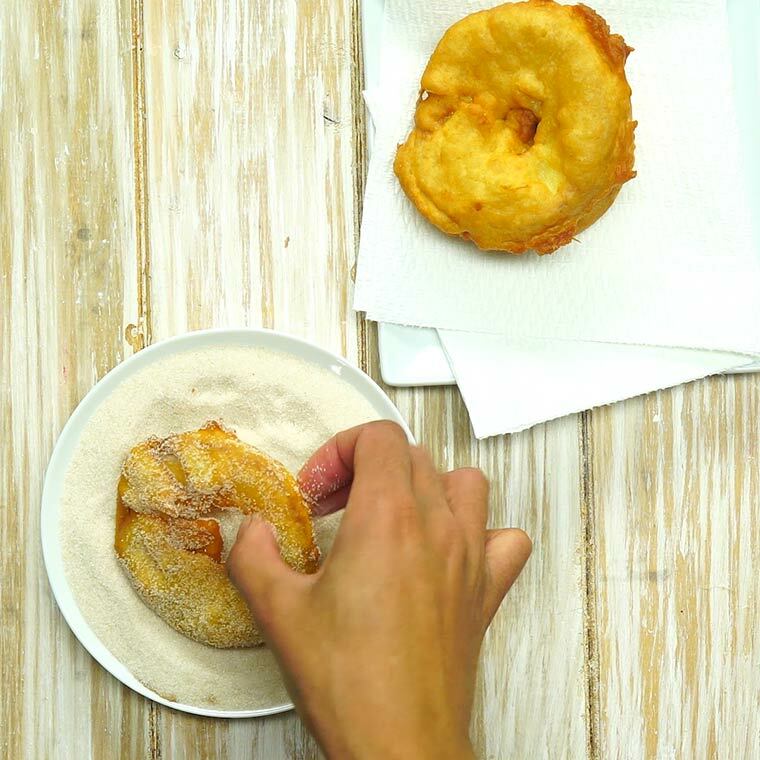 These Cinnamon & Sugar Fried Apple Rings are better than any dessert you’ve tried in the last little while – guaranteed! 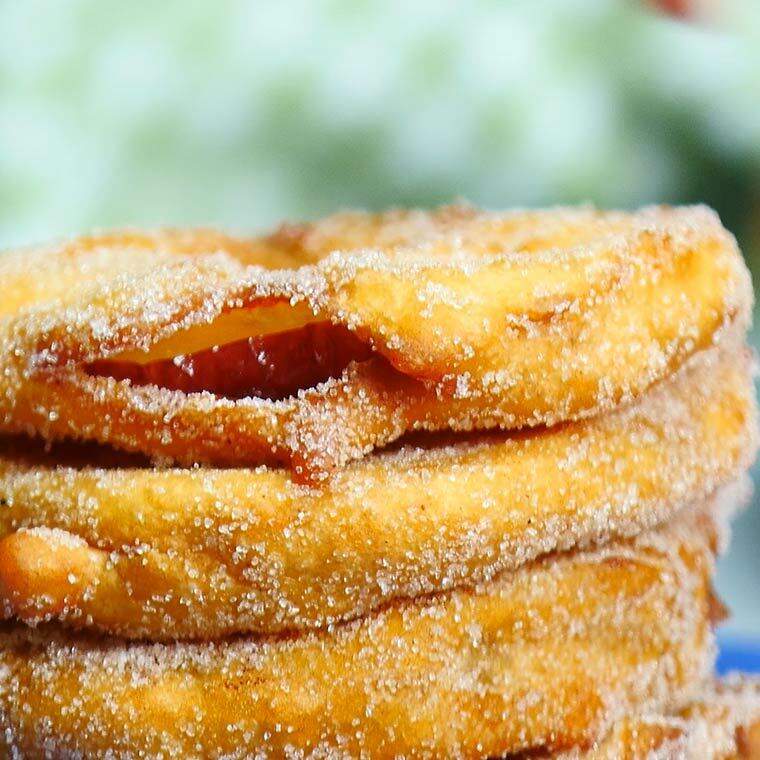 Seriously, when you batter up some slices of fresh apple, you might not expect much, but the second these delicious fried apple rings hit your taste buds, you’ll be in heaven! 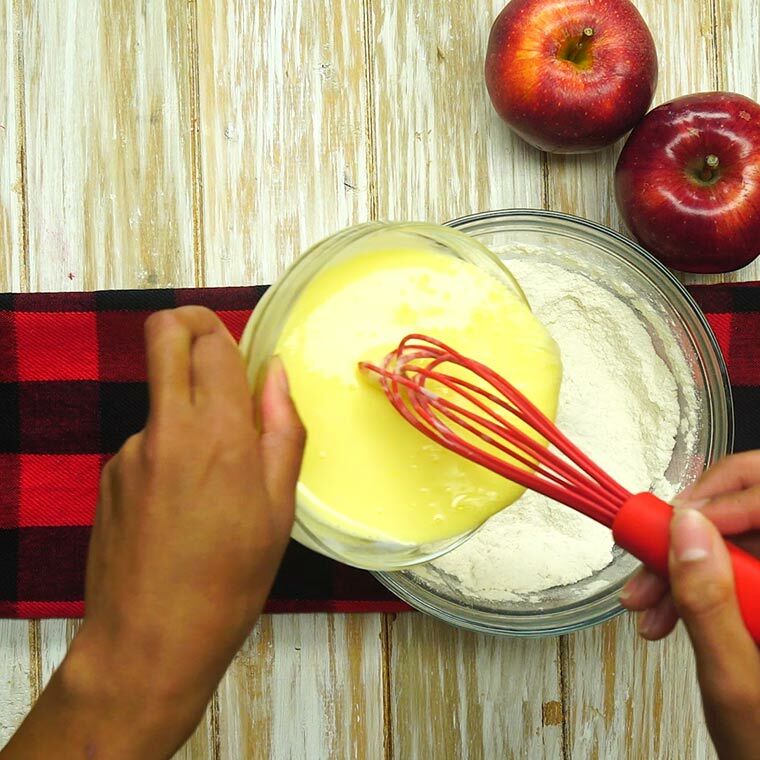 You might want to double up on this scrumptious recipe – these will go fast! 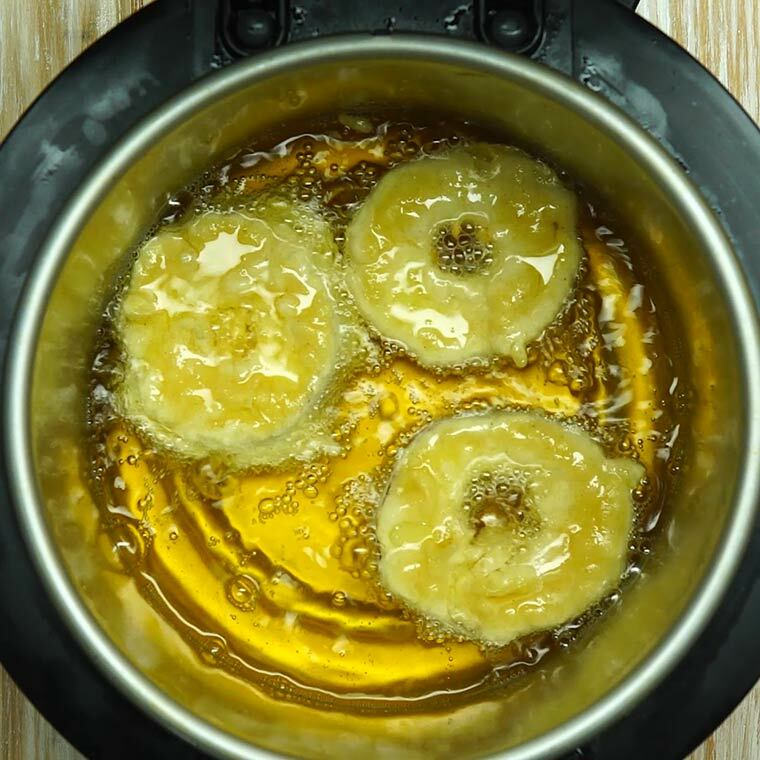 Preheat a large shallow pot or deep fryer full of about 2 inches of oil over medium heat. 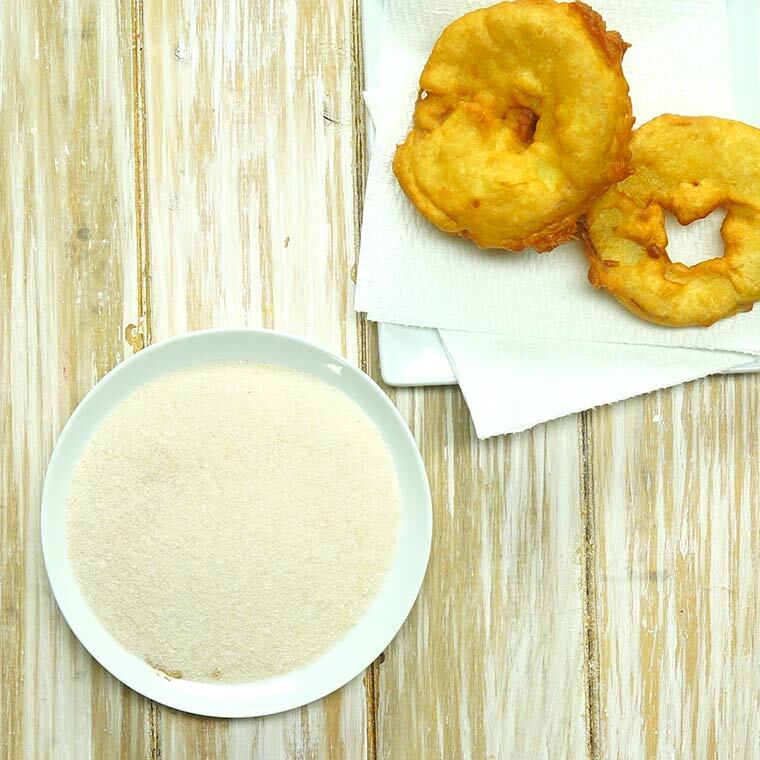 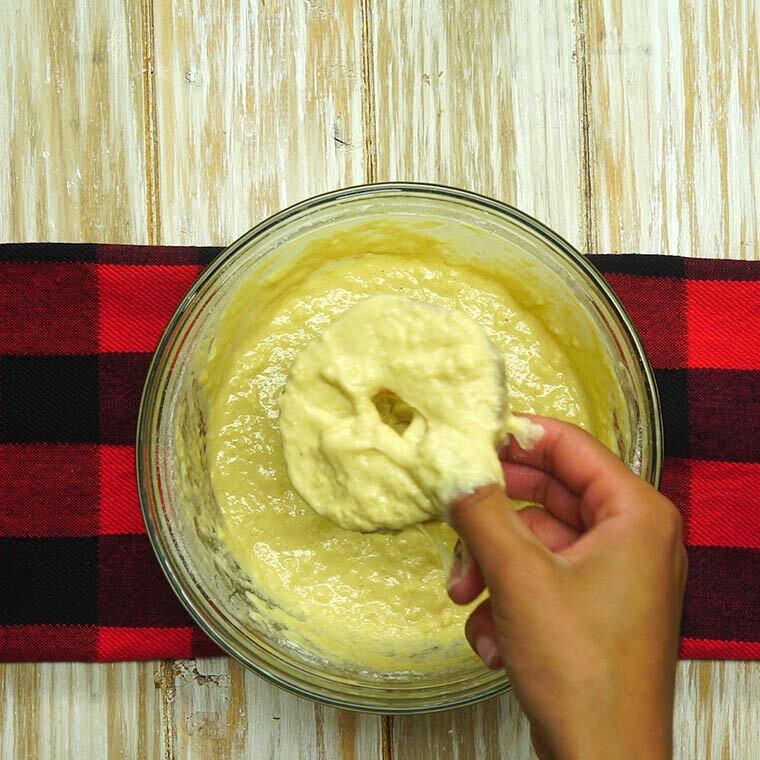 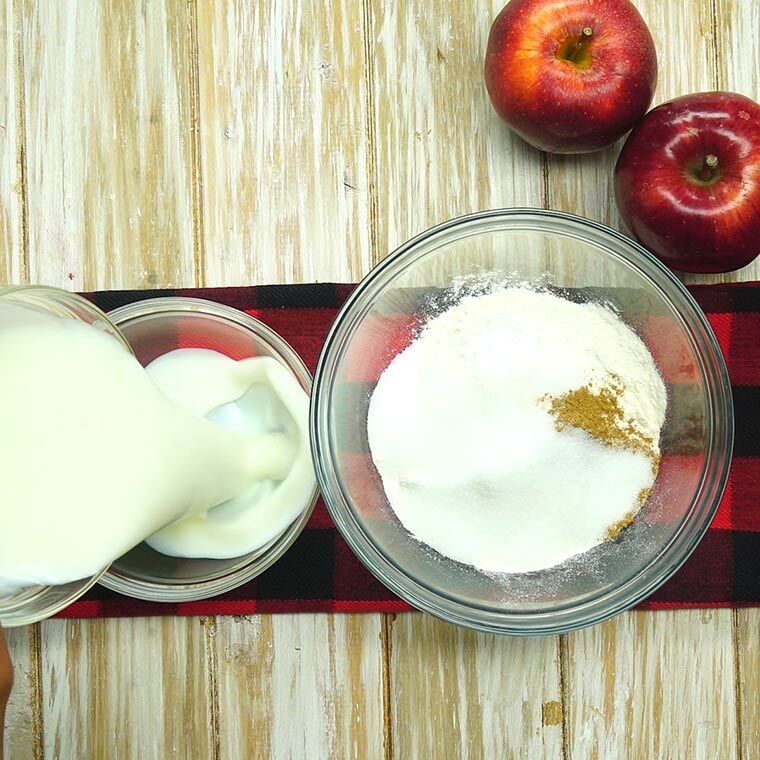 In a medium sized bowl, mix together your flour, baking powder, salt, cinnamon and sugar. 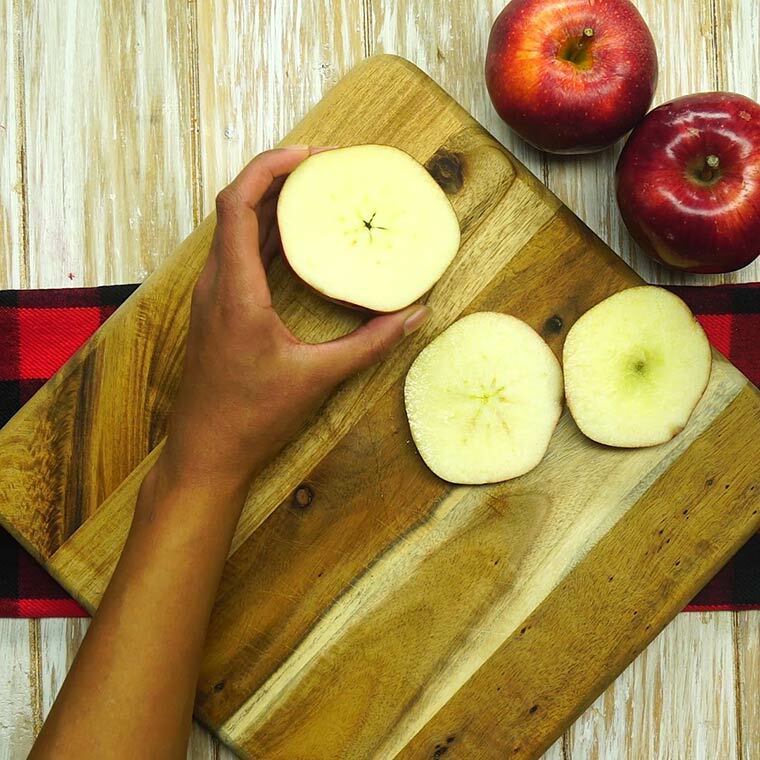 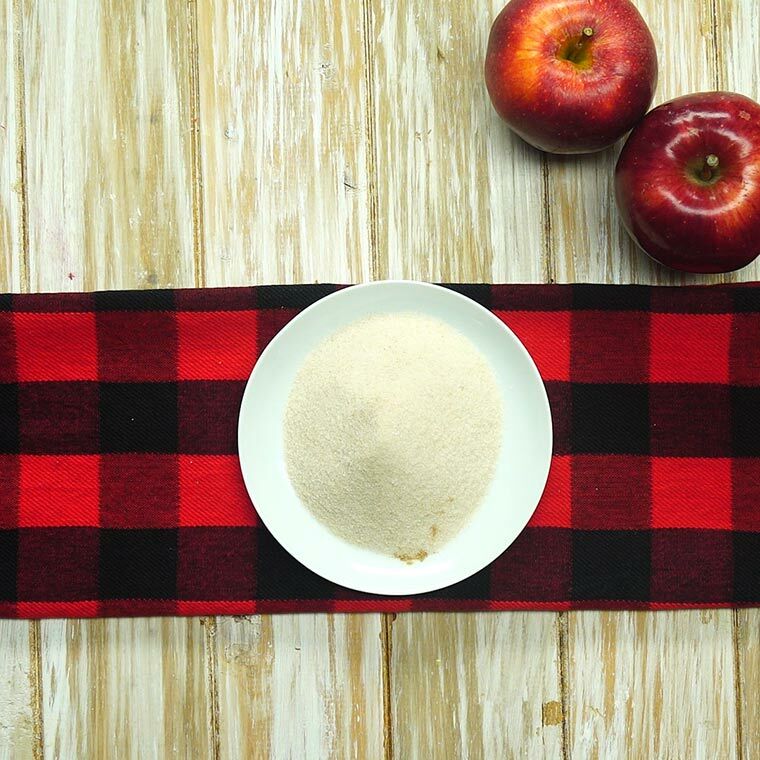 Slice your apples into thin round slices, about 1/4 inch thick. 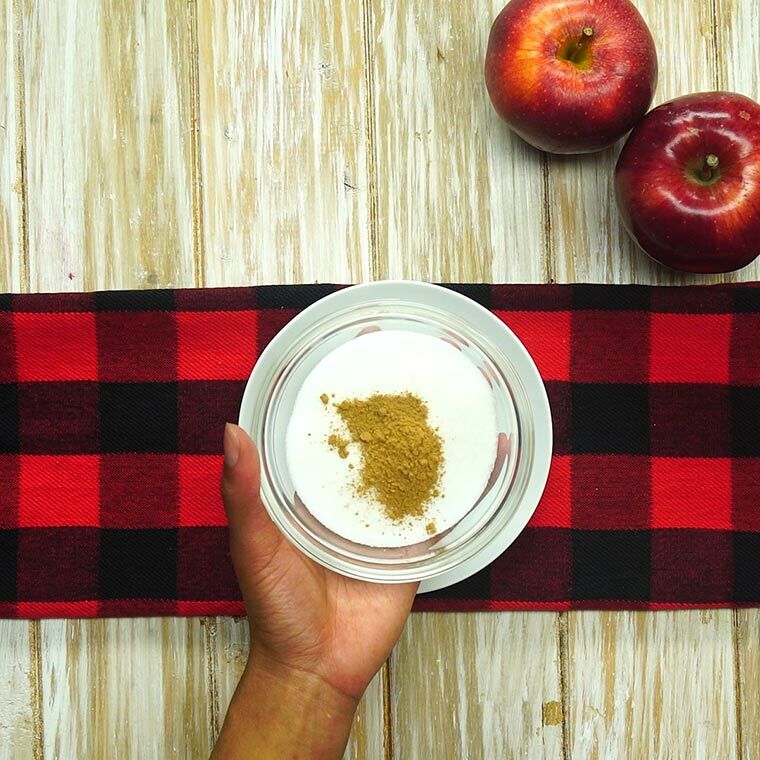 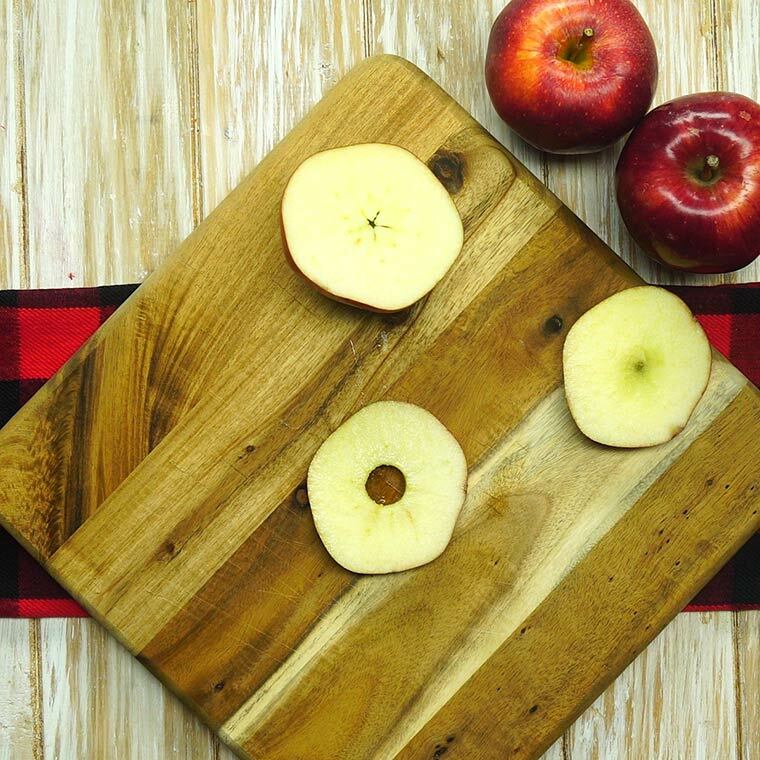 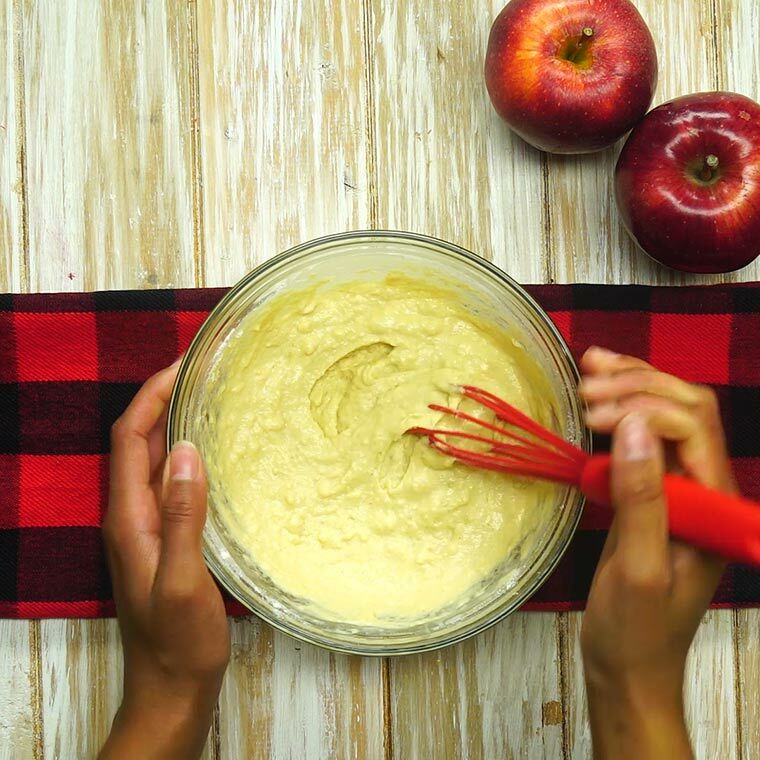 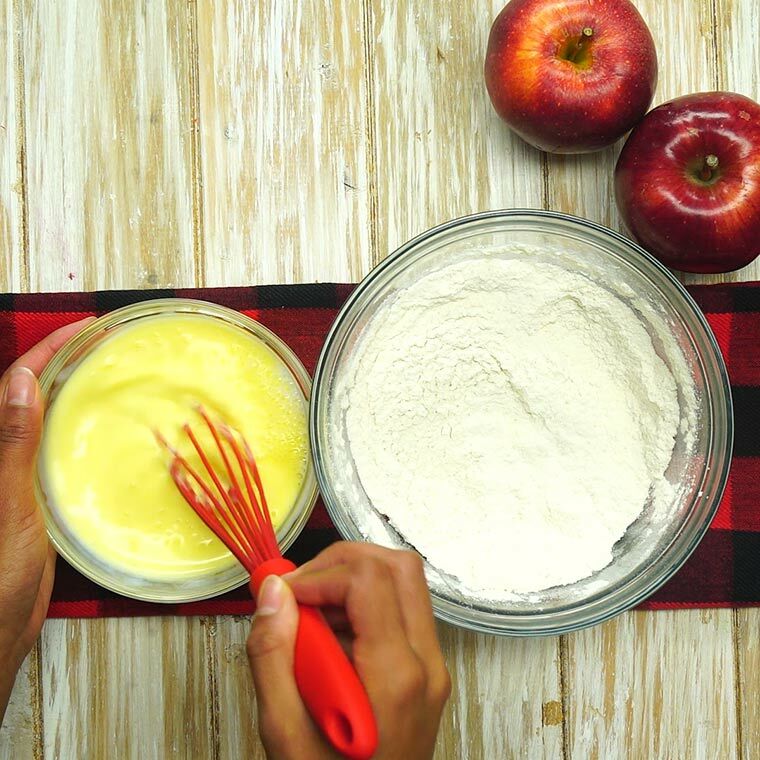 Cut out the core of your apples and cut each apple slice into 2 rings using a round cookie or biscuit cutter. 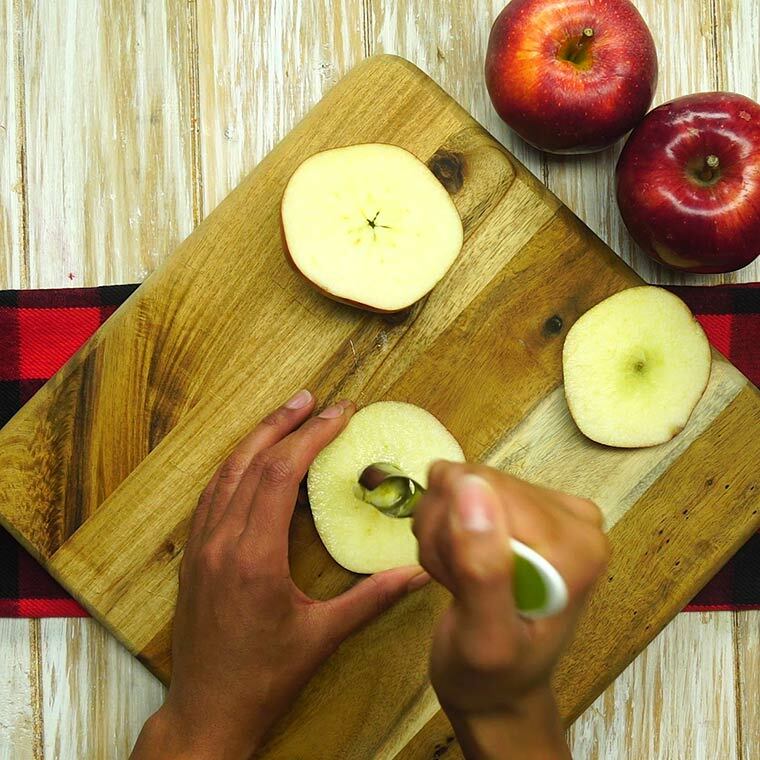 Serve immediately – they’re best while hot. 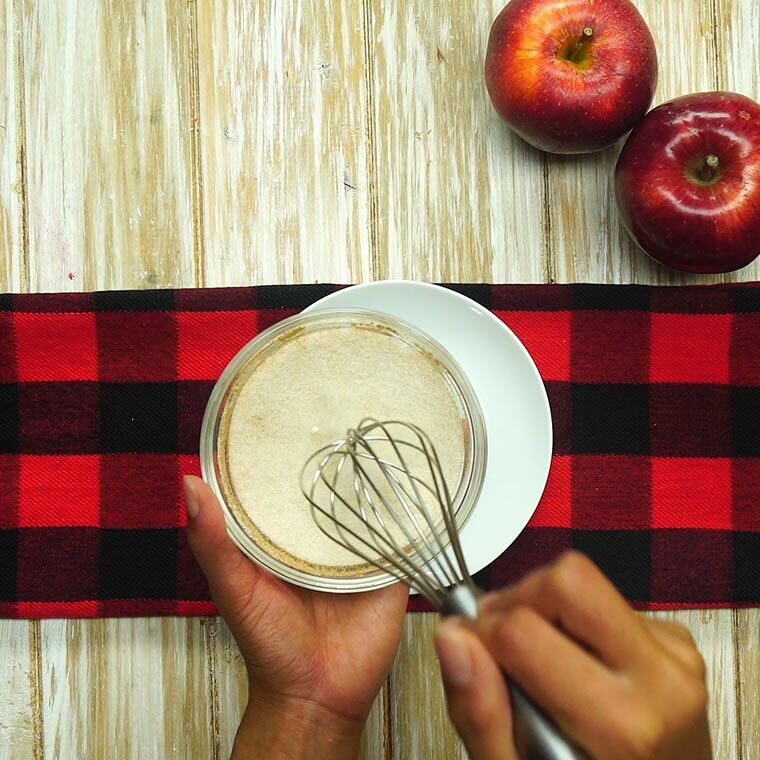 Serve alone or with chocolate or caramel sauce!